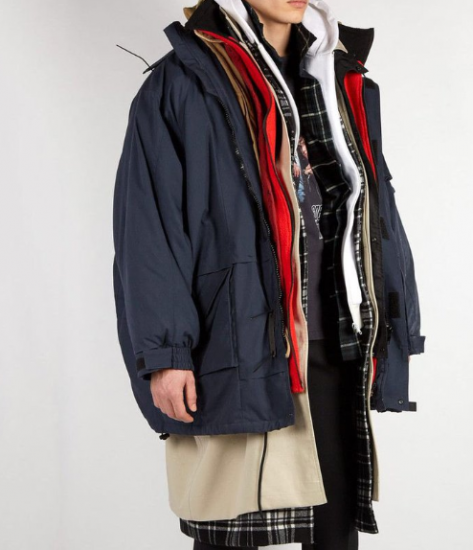 Balenciaga’s oversized parka looks strangely familiar! 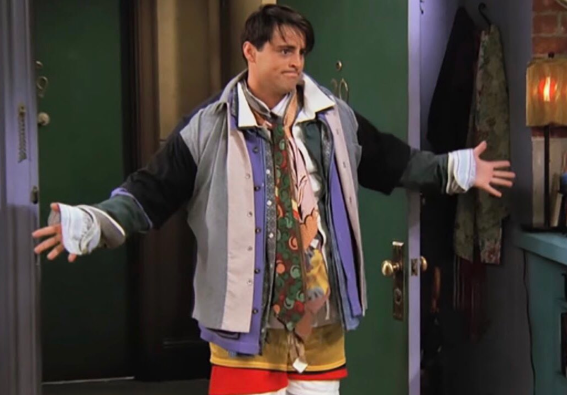 Their 7-layor coat has created a stir on social media as it’s compared to the infamous Friends scene where Joey makes an entrance wearing Chandler’s entire wardrobe. Although he may not have been the smartest member of the Friends crew, it turns out that Joey may have been well ahead of the trend. The luxury brand appears to have taken inspiration from him to create a memorable fashion statement that costs a hefty $9,000. The garment is made up of seven different types of clothing, from a hoodie and fleece jacket, to multiple shirts and a puffy coat. Demna Gvasalia modelled the coat on charity volunteers as part of a collaboration with the World Food Program.